howardcommercial is uniquely qualified to help our clients choose the right occupancy solution whether it’s a new location or the renewal of an existing lease. We serve as your strategic advisor, offering in-depth market knowledge and professional negotiation expertise. Our fiduciary responsibility is to you, the client. We serve on your behalf to obtain the most favorable terms the market will bear. The exclusive tenant representative relationship creates a single point of contact for managing the real estate process, saving both time and money. It is our steadfast policy to never represent landlords. This eliminates the conflict-of-interest that results with other real estate firms that represent both landlords and tenants. It also ensures that our loyalties lie solely with you. This approach, combined with our extensive experience, resources, proven expertise and dedication to client service sets us apart from our competition. Business is challenging. Real estate is challenging. Fortunately, managing both elements doesn’t have to consume your resources. Trust your commercial real estate needs to howardcommercial so you can focus on what really matters—your business. 3. What are the two most common mistakes tenants make when negotiating for lease space? 4. How is howardcommercial compensated for its services? 5. We don’t want to move and intend to renew our lease. Why would we need howardcommercial’s help? Simply put, to save you time and money. The Tenant Representative serves as your strategic advisor offering in-depth market knowledge, resources and professional negotiating experience. Our fiduciary responsibility is to you, the tenant, negotiating on your behalf to procure the best possible location at the most favorable terms and conditions. howardcommercial only represents tenants. Unlike other real estate companies, we never represent landlords. This eliminates the inherent conflict of interest that exists with these other firms. Consequently, your financial and business goals are all that matter to us. We are free to aggressively negotiate for savings and lease terms that will provide the greatest benefit to your company. The two biggest mistake tenants make are that they don't allow themselves enough time and they don't develop legitimate alternatives to their first choice, whether they are interested in new space or a lease renewal. We often hear, “I don’t want to move, and plan to renew my lease for another term”. Even if you don’t tell your landlord, he will often draw that conclusion from your actions and the amount of time left on your lease. And once the landlord understands this, a tenant loses his negotiating leverage. Even tenants who have no reason or intent to move must develop credible alternatives to their current situation. Otherwise, they risk spending money needlessly because they have forfeited all leverage in negotiating the terms of their renewal. You don’t spend a penny to use our services. In most cases, the landlord pays their leasing agent a fee and the leasing agent will share that fee with howardcommercial. In the event you do not have representation, the landlord will pay the entire fee to his leasing agent, but keep in mind where that leasing agent’s loyalties lie when he represents a property. His job and fiduciary obligation are to get the best possible terms for his principal — the landlord. A Tenant Representative’s job and fiduciary obligation are to get the best possible terms for you. Landlords hire professional leasing agents to negotiate the highest returns for the investment in their building. If the agent or landlord can sign a tenant at a higher rental rate, it improves the landlord’s bottom line. The key to a successful renewal negotiation is creating competition between your current landlord and surrounding landlords in the area, while maintaining a controlled and organized process. Tenants need to have an experienced advisor providing the proper market research and negotiating skill that will create leverage for them. howardcommercial specializes exclusively in tenant representation and can save you significant amounts of time and money on lease renewals. howardcommercial is aware that you don’t want to damage your relationship with the landlord. That’s why howardcommercial deals with every landlord in an aggressive, yet fair and professional manner. Landlords know that other buildings you’re considering will most likely have to create a space plan, get construction pricing, agree on a rental rate, prepare and execute a lease document, apply for construction permits and prepare the space for occupancy. This is, at a minimum, a six month process. So, a tenant that waits until there are only six months or less remaining in the lease term before asking the landlord for a lease renewal proposal is basically telling the landlord that it is not considering any other options. The first step in the leasing process, before you can even start looking at space, is to determine the amount of space you will need. howardcommercial can help you develop a preliminary space plan program to calculate the amount of space you will require. 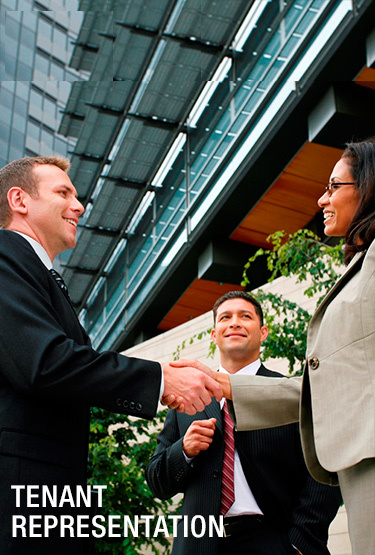 The best way to get started is by scheduling an introductory meeting with howardcommercial. Click here or call us at 314.821.0085 to begin the process immediately.